Industry 4.0 Smart Factories and Smart Machines continue to drive dramatic efficiency improvements across the supply chain, within the factory and inside machines. Ralph McCormick and Derrick Hartmann | Analog Devices, Inc. In 1788, James Watt incorporated his centrifugal “flyball” governor design, a feedback valve for controlling the speed of an engine, to significantly enhance the self-regulation of the steam engine. Watt’s innovation helped to bring steam engines into everyday use by providing operational stability and safety. It was the ability of the machine to regulate itself that finally validated engine technologies, helping to drive the dramatic productivity increases of the first industrial revolution. Today, Industry 4.0 and Smart Manufacturing “cyber-physical systems” continue the evolutionary momentum with new modes of autonomous corrective feedback in factory machines and systems. Advances in embedded information processing, disturbed sensing, measure-ment, and intelligent network connectivity technologies are enabling a shift from rudimentary self-regulation systems to increasingly flexible, adaptable, self-aware machines. Such machines autonomously use information about their own health, status, and environment to enable monitoring and control of physical processes, usually in real time, so that the whole factory can be fully optimized at local and plant-wide levels. The Internet of Things, cyber-phys-ical systems, and cloud technologies are helping to merge the physical and the virtual worlds, providing unprecedented access to relevant information across all levels in manufacturing systems, and enabling continuous improve-ments in manufacturing safety, reliability, productivity, and efficiency. Industry 4.0 Smart Factories will be increasingly flexible and adaptable, enabled by more autonomous intelligent machines. 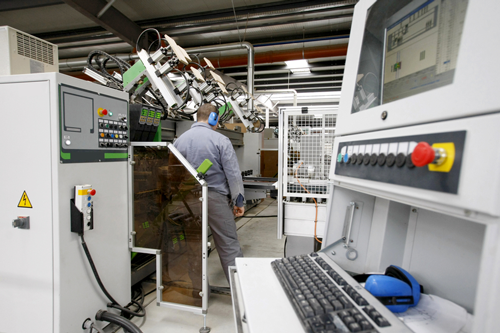 Greater efficiencies and mass customization of individual machines, throughout individual plants and across complete supply and logistics chains, will facilitate significant, immediate improvements in costs, safety, and environmental impacts. Standardized wired and wireless communication technologies will help optimize production and supply networks by bringing together islands of information, which can be used to make intelligent decisions for control, prediction, and optimization of production processes. Industry 4.0 Smart Machines capabilities will continue evolving greater autonomy, flexibility, and adaptability. Self-monitoring and prognostics allow smart machines to detect faults and even diagnose problems. 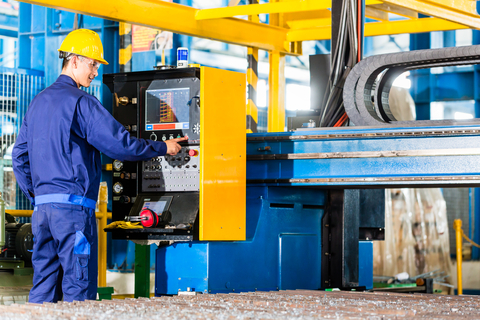 Local machine health monitoring helps extend machine operating life, and factory level access to machine health information benefits the entire production environ-ment, allowing operators to optimize maintenance schedules and increase uptime. Consider a situation today where an aging machine results in unaccept-able downtime or excessive preventative maintenance. In this situation, the machine may be retrofitted with prognostic capabilities including vibration sensors to monitor the health of the mechanical bearings and infrared sensors to detect excessive heating of rotary equipment. By analyzing the data from these sensors, it is possible to optimize maintenance plans to increase uptime and avoid excessive preventative maintenance expenses. An example sensor solution with wireless connectivity for retrofit and new machine markets is the Analog Devices ADIS16229. This dual-axis MEMS vibration monitoring sensor performs vibration analysis functions and includes an ISM band radio. Products like the ADIS16229 suggest a vision for wireless sensors that can be easily mounted anywhere on a machine to perform sens-ing, diagnostic, and prognostic functions. Robust industrial Ethernet will continue to experience widespread adop-tion, providing the Smart Factory with the standardized high bandwidth data communications infrastructure needed for true mass customization. Internet Protocol version 6 (IPv6) will provide the efficient, secure, and highly configurable addressing to allow the factory operator seamless access right down to a specific sensor node on a machine for configuration and interrogation. Emerging IEEE time sensitive networking standards enable precise deterministic timing of control and measurement cycles essential for coordinating machines in motion. Increasing adoption of wireless sensing, monitoring, and control systems is likely as technology capabilities continue to improve. 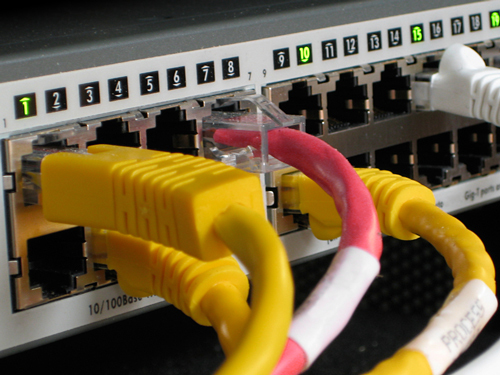 Robust wired connectivity is likely to continue to play an impor-tant role, particularly in electrically noisy environments. Power-over-Ethernet technologies will enable power distribution to distributed sensors, actuators, and other networked devices, while also reducing cabling costs. Industry 4.0 Smart Factories and Smart Machines continue to drive dramatic efficiency improvements across the supply chain, within the factory and inside machines. Advances in connected sensing technologies will help provide valuable information to reduce energy consumption, save time, reduce waste, reduce downtime, and prevent accidents.